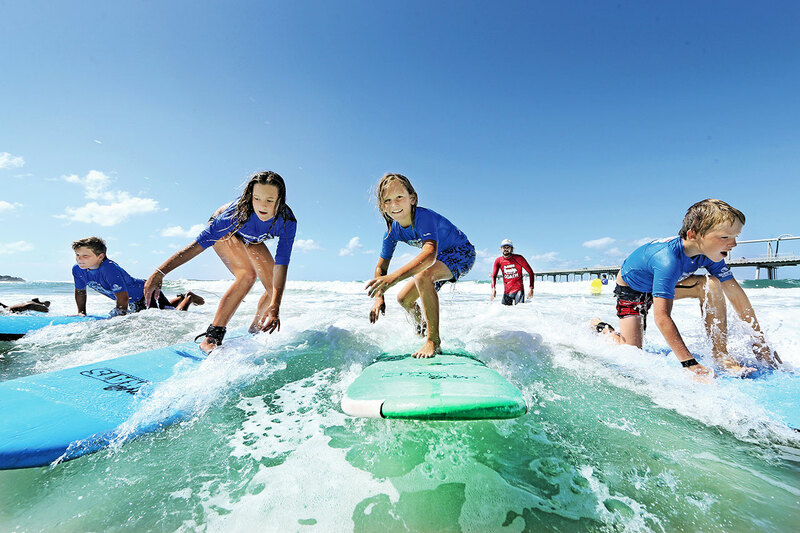 Just a few kilometres from the heart of Surfers Paradise, Where the locals learn to surf. 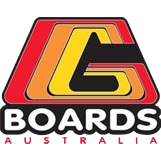 Get Wet Surf School is Trip Advisor’s number one surf school on the Gold Coast. 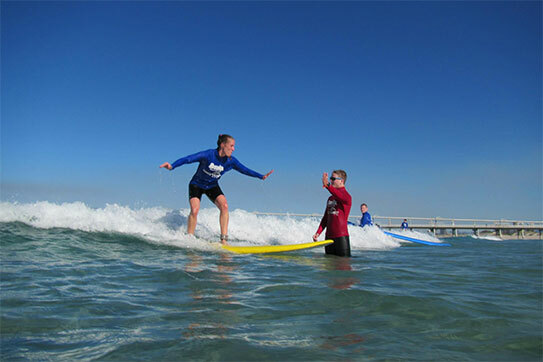 With Get Wet Surf School anyone can experience the thrill of surfing. It is fun, safe, and you won’t believe how easy! The feeling of standing up on a surf board and catching a wave is amazing and because Get Wet Surf School offers the most experienced and qualified coaches and the best location we can guarantee you will stand up on your first surf lesson. 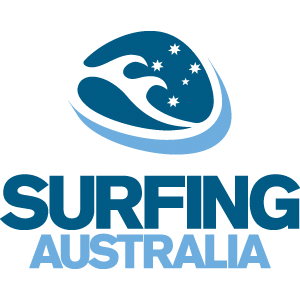 Recently awarded the prestigious Award for innovation in tourism by the Queensland Tourism Industry Council, Get Wet Surf School is also fully accredited Surfing Australia surf school with Surfing Australia Instructors who are the best in the industry. Get Wet holds a Gold Coast City Council permit to operate at The Spit and we are an accredited Tourism operator through QTIC. We conduct morning and afternoon group lessons all year round and we operate with no more than 6 adults per instructor and 4 children per instructor. 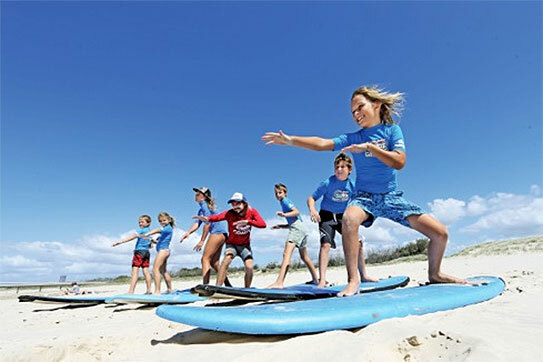 All equipment for use during the lesson or surf camp Australia is supplied and complimentary transfers are available. We will only operate if conditions are suitable for optimum safety and fun. 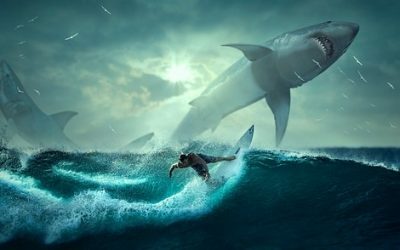 Call 1800 GET WET or Click here to book your Surf Lesson. Sign up and stay in the loop with Get Wet Surf School's newsletter. Our newsletters are packed with tips, tricks, news and the latests updates in the surfing world - Straight to your inbox! That’s why we have compiled a list of the most frequently asked questions to our instructors. We hope this might help clear up any doubts you have about surf camp and our surf school. We will guarantee to get you standing on your first lesson…or you get another lesson FREE! 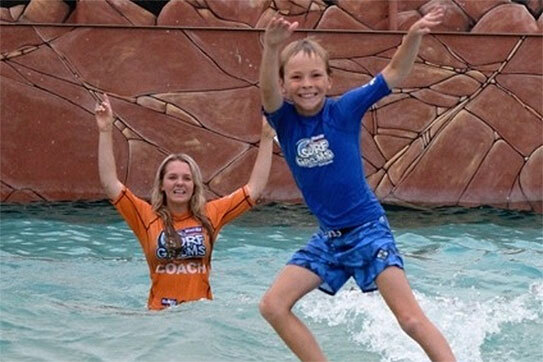 Get Wet Surf School offers the lowest student-to-coach ratio on the Gold Coast. 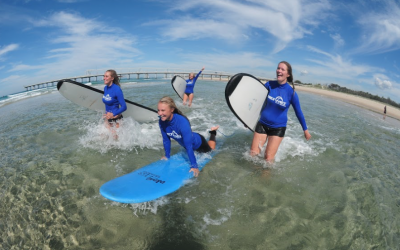 This allows Get Wet Surf School to teach you how to surf in a fun and safe surf lesson. We operate at a stunning central location on the Gold Coast. The Spit, Seaworld Drive, Surfers Paradise, Gold Coast. We will provide you with a wetsuit, a rash shirt, sunscreens and a surfboard. 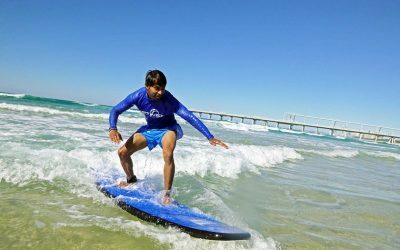 All surf lessons are captured on camera so you have the opportunity to show everyone shots of you learning how to surf and riding the perfect Surfers Paradise waves. 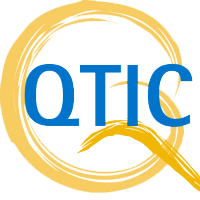 Get Wet Surf School is the proud winner of the 2015 QTIC Prize for Innovation in Tourism. 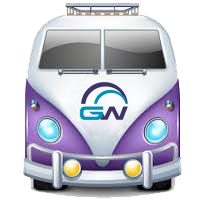 Free transport from your Hotel or backpackers. (Within central Surfers Paradise and Southport). *Available only for participants unless the participant is under 10 years old then 1 non-surfing adult is allowed to accompany free of charge. Get Wet Surf School’s instructors are all fully qualified surf lifesavers and all certified to Surfing Australia standards.